What can be said about this film that hasn’t already been said? 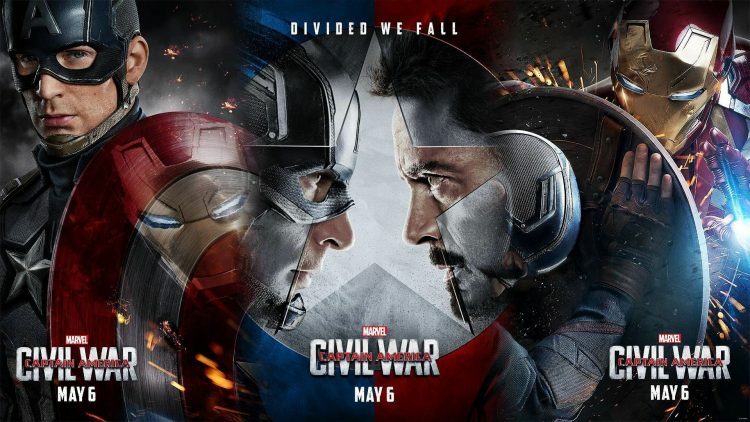 Great action, a culmination of the MCU storyline thus far, and great performances. This includes the fantastic new characters, such as Tom Holland’s Spider-Man and Chadwick Boseman’s Black Panther, both of which make you wishing that their solo projects were releasing sooner. And who didn’t love the airport fight? While it didn’t have the shocking story twist of Winter Soldier, it was definitely a worthy successor. As far as overall storylines in movies, Captain America really seems to have the best one in the MCU. This one was not as popular as Civil War, and I didn’t quite understand why. It’s certainly different from its MCU counterpart, but I didn’t think that was a bad thing. 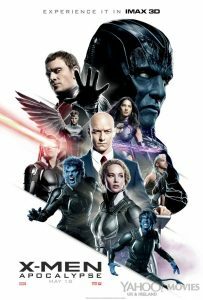 To me, it was more in line with the original X-Men films, and while perhaps not as good as First Class or Days of Future Past, it was still everything I wanted out of the film. Everyone gave excellent performances that I found true to character (though Mystisque was channeling Katniss Everdeen a bit too much), with the obvious standout performance belonging to Michael Fassbender. A lot of fun, with some cool easter eggs for the fans. Okay, do we want to talk about movies that were horribly maligned? Well, here’s a good one to start us off. Confession time, I was a World of Warcraft player for a long time, but I never had the depth of lore knowledge that I do for other game universes. Even still, I had an idea more or less of what was happening in this film. Contrast that to my husband, who had no clue what was going on, and yet we both still came out of this one wanting to see it again. 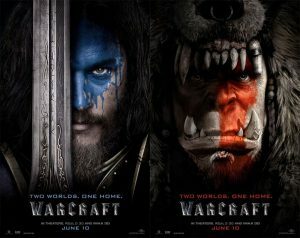 Forget the humans, this movie belongs to Durotan and the orcs. If you remember that, you’re going to do well. Added this is how awesome the thing looks; it’s gorgeous with some really fantastic cinematography. I’m glad it did well elsewhere in the world. This one is a half-entry because it came out on DVD/Blu-Ray in summer after releasing in theatres earlier this year, but I really want to mention it. We actually saw this one the night before we saw Batman vs. Superman, and… wow. 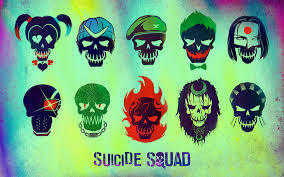 This movie was incredible. It was tense, claustrophobic, and utterly riveting. Someone needs to give John Goodman an award (or several) for his performance. I don’t remember the last time I was so invested in and yet so uncomfortable watching as character as I was watching him in this film. 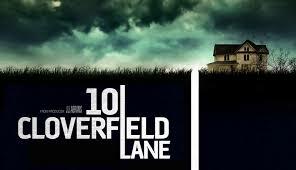 I even loved the ending, it was weird but at the same time you see Mary Elizabeth Winstead’s character really come into her own between the climax and the film’s end. If you haven’t seen it, go see it. There’s a trend of sequels being made long after the original films’ release. 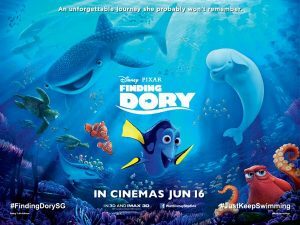 This year the latest entrant into that club was Finding Dory. And…. Well, we were actually kind of disappointed with this one. There’s no shortage of love for Finding Nemo in our house, but this one was just kind of… flat. It lacked a lot of the humor of the original, and seemed to go more for the Inside out/ UP gut-punch feels whenever it could. Even the new characters lacked a lot of the magic from the first. It did, however, run a short before the movie called Piper. 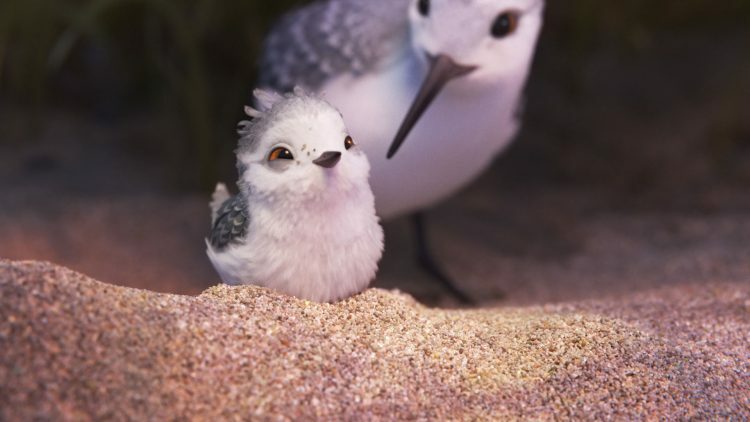 And this was one of the most adorable, most visually stunning things I have seen in a theater. I can’t even describe how incredible the animation was, it must be seen to be understood, and the picture below hardly does it justice. Okay, forget everything I said about much maligned movies and long waits for sequels/reboots. This is all of that, in one. I made it no secret that I was willing to give this one a chance and see what it had to say before slamming it. And what we got was a pretty good movie that was funny (though not as much and in a different way from the original) and that I actually had some fun with. It did not deserve the hate it got, and the crap that followed it for months prior to release. The characters were much better than the trailers made them out to be, and it was by far one on the better side of the remake scale. This is an entry that I didn’t see in theaters, but was one I was highly anticipating ever since I heard it was being made. The result? An odd bag. The first half hour was good on its own, but contributes almost nothing to the overall story. You can skip it and not miss anything, although it does fare better on a second watch. But once it starts the main story, it’s beautifully faithful to its source. Kevin Conroy and Mark Hamill are Batman and the Joker as far as I’m concerned, and seeing them take on this story was a treat. I love that they're already teasing more for the future. 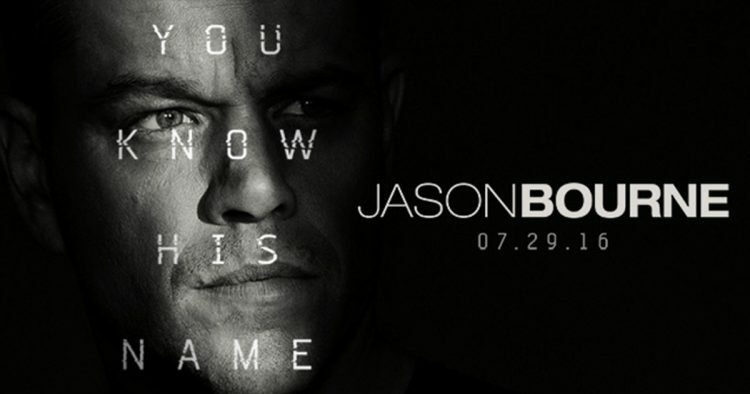 I haven’t actually seen any of the other Bourne films, and the way I saw this one was somewhat unorthodox, so bear with me. We actually saw this at a drive-in theater about mid-end of August. We were camping at said drive-in, and not far into the movie I took our kids to bed because they were tired and bored. So, I sat outside our tent and watched the rest of the film, mostly without sound. I could still follow what was happening, but the subtler dialogue was lost on me. It still seemed pretty good, I liked it visually at least. The fight scenes I thought were really well done and the action overall was really good and not too shaky or hard to follow. I’m told (by my other half who watched the rest of it with sound) the story was a bit meh, and more or less similar to the second film. So, perhaps in this case, the experience made the movie more interesting than it was. Once again, we went in to see what the DCEU was going to give us this time. Though my expectations for this film weren’t terribly high, it was actually a pretty fun movie. It was a weird mix of Batman vs. Superman gritty and Guardians of the Galaxy goofiness, and was more like the latter in that it was actually entertaining. Character development is very uneven and it’s a bit choppy, but that could be the editing or the reshoots. It was a step in the right direction at least, and the mid-credit stinger was a good one. So that’s all the movies I saw this summer. There were a couple of others that the other half saw that I didn’t get a chance to go to. These were (in his words): Angry Birds (awful), Teenage Mutant Ninja Turtles: Out of the Shadows (better than the first but can see why some wouldn’t like it), and Independence Day: Resurgence (why was this made?). We completely missed a few big ones, like Star Trek: Beyond (and I’m a Trek fan!) and The Legend of Tarzan, but will probably catch these and the other ones we missed on video. Overall, it was kind of an odd summer for movies. 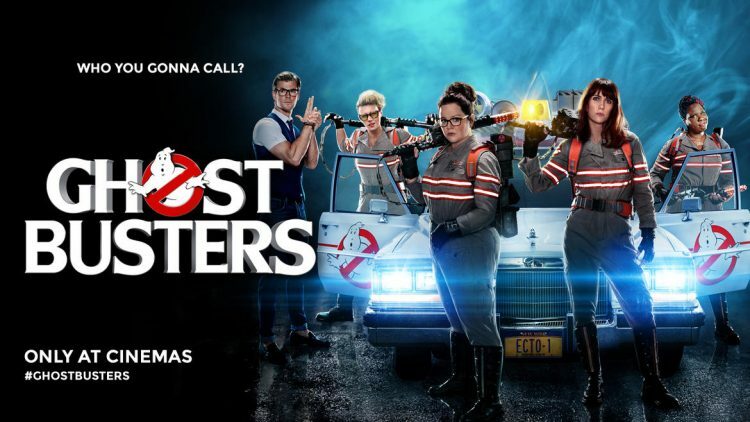 We didn’t have that one bit standout that makes all the money the way Jurassic World did last summer, and in fact the box office was pretty lackluster in the whole May-August run. I guess it’s fitting then, that we bid farewell to the 2016 summer movie season with more a shrug than a bang and look to the fall and end of the year releases. As for myself, I’m morbidly curious about Magnificent Seven, half-and-half on Storks, and genuinely excited for Doctor Strange, Assassin’s Creed, and Rogue One: A Star Wars Story. What are you guys looking forward to as we head into fall? A big tent-pole film? Something smaller? Let me know down below, I’d love to hear what movie is getting you excited to head to the theater! This entry was posted in Movies and TV, Uncategorized and tagged movies, reviews, summer round up. Bookmark the permalink. 4 Responses to Summer Movie Round Up! I’m not one for first run movies in the theater. I am so far behind on just about everything MCU and X-Men. So no upcoming picks on pics from me. I’m just as content to watch at home or randomly pick something from Netflix. I love Conroy-Hammill. My leeriness concerning The Killing Joke is the animation. I see the previews. 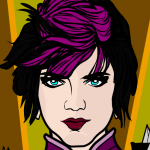 It looks… well, cartoonish. Like Flintones rolling background cartoonish. Not even on the level of Teen Titans Go!. Is the animation that lazy or is it just the vibe from the previews? For a story as iconic as The Killing Joke, I expect… nay, demand… perfection. I want the animation to be as close as possible to the quality and care as the original graphic novel. DC has put out some real quality animation, too. Not to mention that DCTV (Arrow, The Flash, etc.) pretty much blows the DCEU away. Thank you. Hard to find one of these without spoilers. 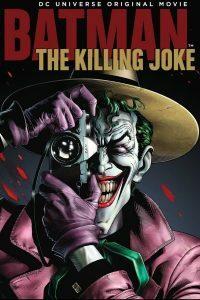 Speaking of The Killing Joke, Alan Moore just announced that he is retiring from writing graphic novels. I love Conroy-Hammill.My leeriness concerning The Killing Joke is the animation.I see the previews.It looks… well, cartoonish.Like Flintones rolling background cartoonish.Not even on the level of Teen Titans Go!. Is the animation that lazy or is it just the vibe from the previews?For a story as iconic as The Killing Joke, I expect… nay, demand… perfection.I want the animation to be as close as possible to the quality and care as the original graphic novel. DC has put out some real quality animation, too.Not to mention that DCTV (Arrow, The Flash, etc.) pretty much blows the DCEU away. The animation was better in the movie. There was only one part where a background was pretty ugly. I would have rather had Batman:The Animated Series style, but I know they wanted the characters to look the way they did in the book. And you’re spot on with the DC animated universe. If they could do the live-action with the kind of quality their animated stuff has, they’d be a force to be reckoned with. I didn’t want to ruin any of the films for anyone by giving away too much. And as someone who writes spoiler-heavy reviews normally, they just get way too long for what I wanted to do here.